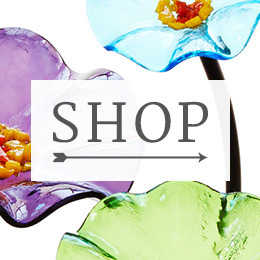 Images from our product developers’ inspiration boards. 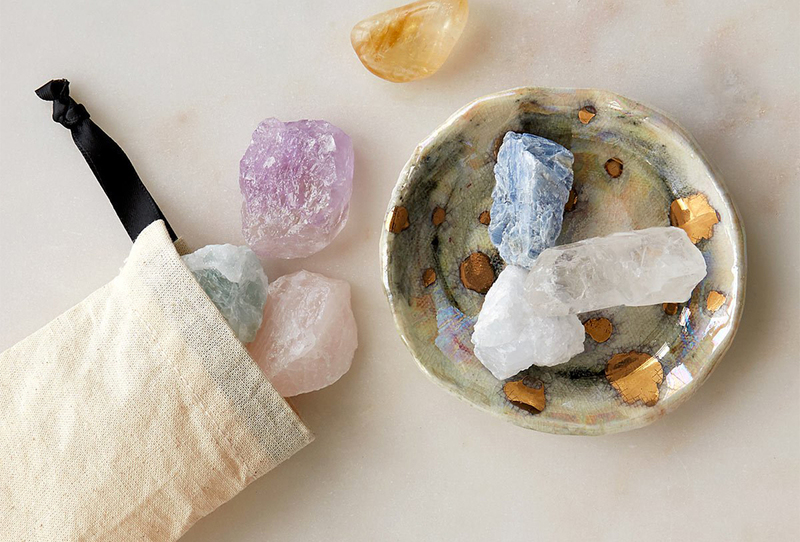 These efforts, too, manifested at first in text, as our team experimented with designs incorporating ellipses and semicolons, but one image soon stood out: a photograph of a crystalline pendant included on one of the team’s inspiration boards, pictured above, whose bright, reflective character struck a chord with all involved. 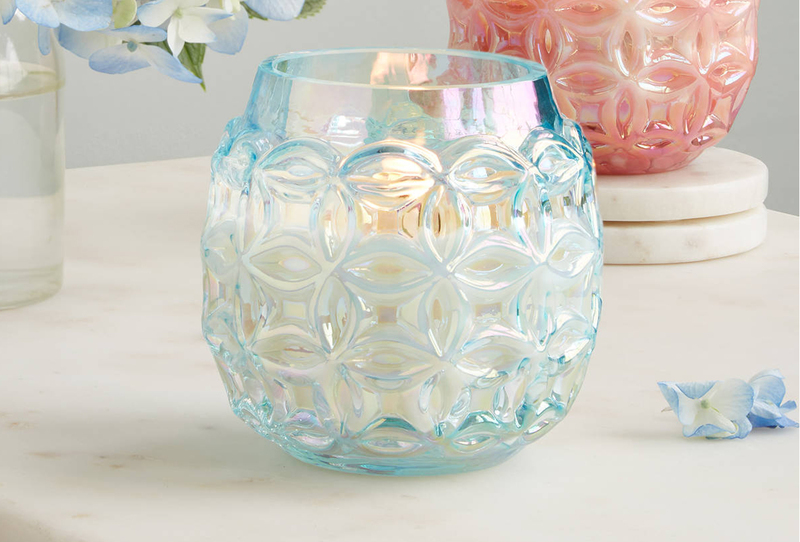 As our product developers’ ideas began to take shape, reflection quickly became a prominent theme. Inspired by the concept of light emerging from darkness and bolstered by feedback from our friends at RAINN, our team soon began to toy with a series of designs incorporating celestial imagery alongside brilliant pieces of moonstone, chosen for its reflective look and rich history as an emblem of hope and protection. Although the sun and moon took many forms in these later, more refined mock-ups, from tiny beads to freely dangling gold and silver disks, our team ultimately settled on a fixed design with a moonstone at its center, surrounded by a ring of hammered sterling silver and, behind it, a 14k gold vermeil “sun.” Here, the rear of the moonstone is left exposed, allowing light to pass through the whole of the stone and encouraging interplay with the wearer’s skin and clothing. As always, we are proud to partner with RAINN, this time on an exclusive item with which our customers can showcase their support for the organization and its mission. Although RAINN’s work can be difficult to discuss, it is crucial in a world in which an astonishing number of people—over 300,000 over the age of 12—are victimized by sexual assault each year. 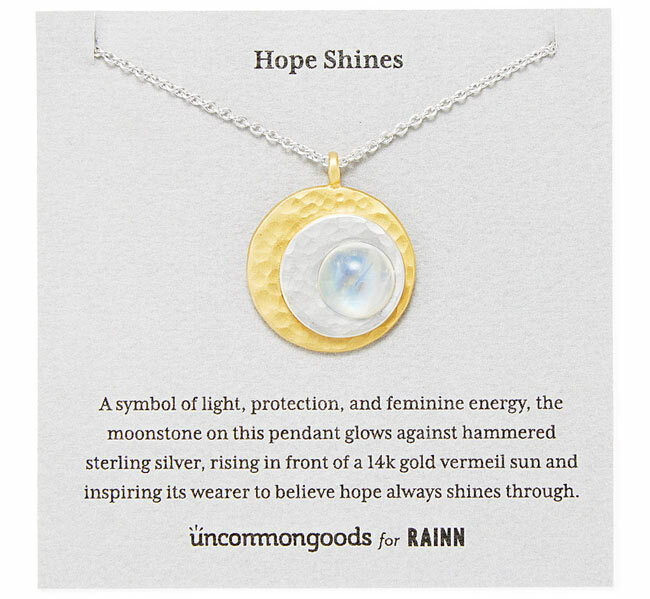 Since beginning our partnership, UncommonGoods has raised $339,833 in support for RAINN, and with each purchase of our Hope Shines Necklace, RAINN will receive an additional $5—a contribution we’re thrilled to be able to make. 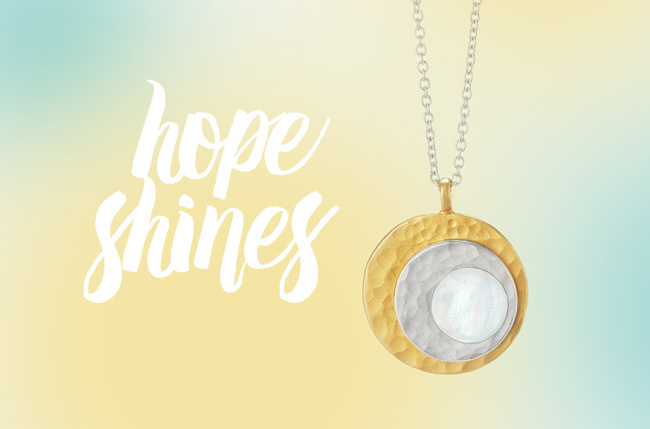 After reading this review for hope shines necklace I am supporting Jodi Omear that Hope shine necklace is not only an artwork but also a work of hope.